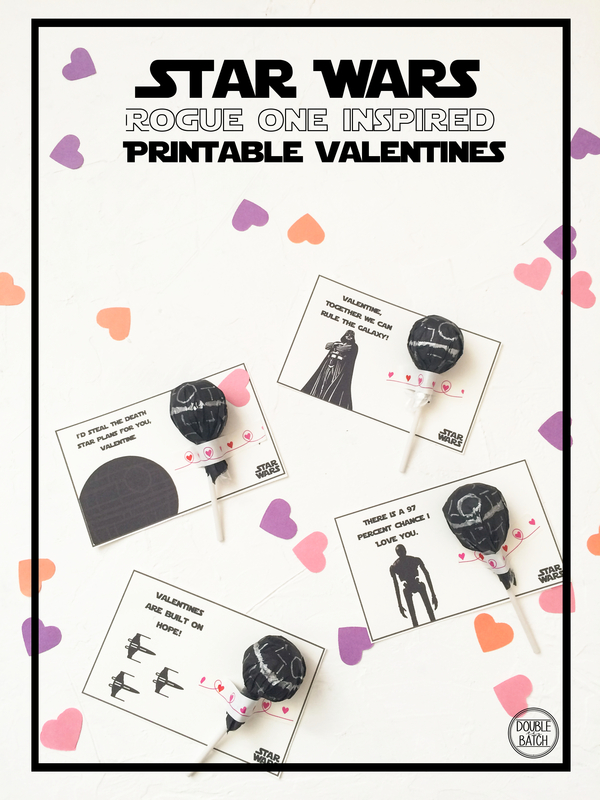 Add a little Star Wars to your Valentines with these free Rogue One inspired printable Valentines! With four different quotes to choose from, you’re sure to find something for each of the Star Wars fans in your life! I didn’t know my husband was a Star Wars fan until I married him. When I say Star Wars fan, I mean Star Wars art on the wall, actively purchases collector items, has read most of the book series, and see’s the movies opening day. I had watched Star Wars before we met, but since being married I have come to a whole new level of understanding. It is no surprise our 2-year-old son is a Star Wars fan as well. I love holidays, especially since having a kid, and I often make big plans to celebrate. But, when the day comes I’ve usually procrastinated and all my big plans kind of fall apart. I have found that when I plan something more simple like a themed treat or meal, along with a cute printable, I am often more successful. 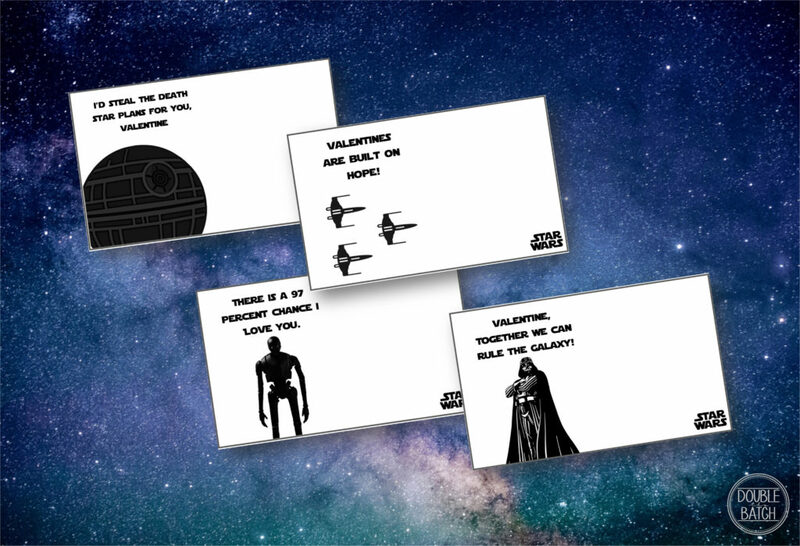 Last Valentines I printed off some fun Star Wars joke cards and it was pretty fun, so this year I wanted to do something similar. Since Rogue One has only been out for about a month I thought it would be great to create some fun themed Valentines. I’ve created four different quotes that you can print out and attach a small candy to. For my candy, I wrapped black tissue paper over a sucker and drew a Death Star on it. Since there are only a couple of us this was a very easy task to do. If you are printing these for a class I would suggest doing something more simple like attaching pixie sticks or glow sticks that look like light sabers. Simple click the button below to download a folder that contains 4 PDF files each with a different quotes. There are 3 Valentines per page.Print off on card stock, cut out, and enjoy! Or download them individual by clicking the links below!